Somebody needs to send this to ITV to show them how to do proper lighthearted continuity, not just having people with obnoxious accents pretending to be your mate. And from that clip, you can see why E4 is still bang on the money with their target audience. I want a job placement at Channel 4 Continuity. Internships pop up every year for that Channel 4 IMO are the best in the business in terms of continuity, they really get it bang on. 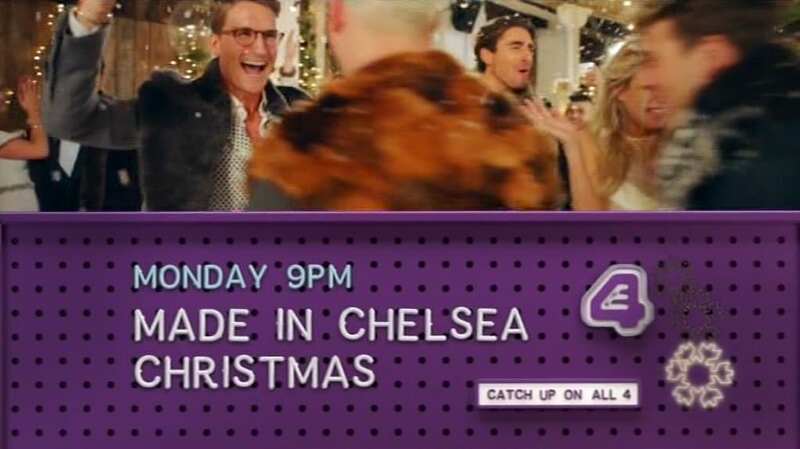 The Come Dine with Me: Made in Chelsea special always seems to be a replacement for shows on E4. 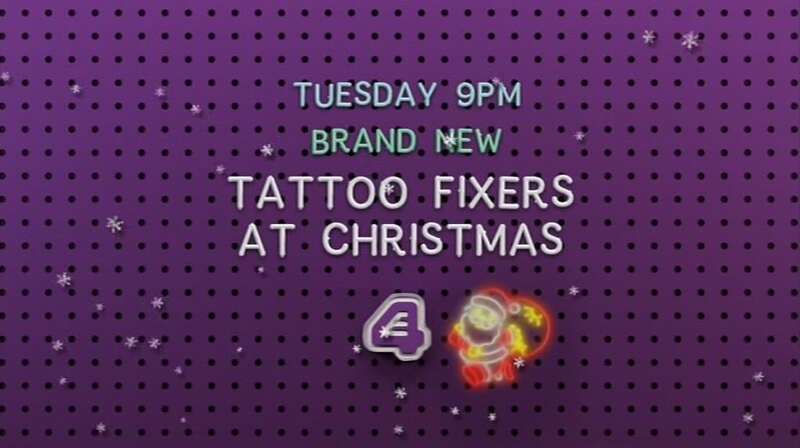 Few months ago, they couldn't show Celebs Go Dating and replaced it with CDwM and now they replaced Tattoo Fixers. Is this new, the xmassy promo end boards? Did they misspell Supershoppers as Superhoppers there? With the new series of celbs go dating. Is it only the 3 stings that have been creatived? For those who crave a bit more context for thread posts, they reintroduced special break bumpers for Celebs Go Dating on E4 at the back end of last week to promote series 4, done in a similar style to the last series. I don't know if the 3 number referred to is being based just on what was uploaded to TV Whirl this morning. However if so, the answer is no - that's just all I had time to do first thing (have since added another 2 on there). I assume in total there'll be one for every one of the 'celebs' appearing so probably about 7 or 8, as that seems to be what they did with the last series. I saw the new end board for Season 4 of Gotham a few times today which appeared during the ad breaks for the live qualifying sessions for The Bahrain Grand Prix on Channel 4 HD. It's been reported in the media from a few days ago that Season 4 of Gotham will be a linear exclusive for UK viewers on E4. FOX will have exclusive rights for fans of the show in the U.S. as they are the shows producers. Season 3 was previously available to begin on Netflix UK after that long speculated delay between it & it's eventual scrapping from the Channel 5 schedules. There is still no official word yet that Season 3 of Gotham will ever be eventually released on E4. Season 4 of Gotham will begin on Tuesday night, April 10th, at 9pm on E4. After Season 4 is finished on E4; it will air on Netflix. It doesn't look too favourable for me though as I'm a fan of the show; I am currently a full season behind so far as I have not yet watched Season 3. If E4 had nabbed this show before Channel 5 got the rights to it for the FTA viewers; the continuity of the show probably would not have been the subject of such interruption from the likes of Netflix nabbing the exclusive UK rights leaving a large portion of Channel 5's viewers looking at other legal options. Get yourself a free trial with Netflix then and watch S3 over 30 days or if you're such a fan you can get the DVD for as little as a fiver.